A beautiful, buttery shortbread cookie recipe. This classic recipe is where it all begins. With only a few simple ingredients and one of our shortbread pans you can make a wonderful delicious treat. Using the back of a large spoon, cream the butter until it is light. Cream in the powered sugar, then the vanilla. Now work in the flour. Knead the dough on an unfloured board until nice and smooth. Spray the shortbread pan very lightly with a non-stick vegetable oil spray. Put the ball of dough in the middle of the pan, and working out from the center, firmly press the dough into the pan. Prick the entire surface with a fork, and bake the shortbread right in the pan at 325 degrees for about 30-35 minutes, or until it is lightly browned. Be sure that the middle is thoroughly cooked and doesn’t look slightly opaque or the shortbread might stick in the pan. Let the shortbread cool in the pan for about 10 minutes before you loosen the edges with a knife and flip the pan over onto a wood cutting board. If the shortbread does not come right out, hold the pan upside down over the cutting board and firmly tap one edge of the pan against the board. This should loosen the shortbread and it should drop out. Cut the shortbread into serving pieces while it is still warm. Let the pan cool before washing it in the sink or dishwasher. I discovered your cookie molds and shortbread pans about 12 years ago. I was doing some Christmas shopping in Branson, MO., and saw this thing sticking out from under the bottom shelf of a bookcase that was being used for displays in a Vermillion store. I was curious so I went over and pulled it out to see what it was. The clerk was a little surprised when I took it to the counter to purchase, and i was equally surprised to find out it had been marked down to a ridiculously low price, although how they expected to sell it when it was UNDER a bookcase I have no idea. Anyway, I drove the two hours to get home, and that evening I made my first shortbread. I’ve never been a fan of shortbread, and if you have ever tried the store bought variety that’s been sitting in some warehouse for God only knows how long, you can understand why I wasn’t impressed. However, when I took out my first pan of shortbread, and my husband and I tried it, it was like manna fro heaven. I now make shortbread every Christmas that I give away as gifts. I have two of your shortbread pans, several molds and cookie stamps. I never fail to get requests for more shortbread, and that which I give away as gifts to co-workers rarely makes it home because they eat the entire piece I’ve given them, no matter how big, at their desks by the end of the day. I’ve never been able to find another Vermillion store, and that first mold I’m afraid was taken from me, but thank goodness for ebay because that is how I’ve been able to build up my collection. I’m now getting ready to begin my Christmas baking for a brunch/cookie swap party I’m having next weekend and my friends and co-workers, and I have a variety of seasonal molds to use. I will forever be grateful for that first shortbread pan I found, and your wonderful shortbread recipe! What a lovely letter! Thank you so much. This is a real Christmas present for me. I made this recipe this morning. I haven’t anything as good since I first experienced shortbread as a boy when my parents had a Scottish guest — and that was a l-o-n-g time ago. The taste is exquisite. The ease of preparation could bot be improved. The only question is whether I did something in the preparation which explains how crumbly the final consistency. Just picking up the pieces is “crumb inducing.” I tried on the web looking for pointers but found nothing. Can you advise me? Thanks so much for this tasty treat!! It sounds to me that you are not needing the dough enough. It should have the even consistency of soft Play-dough. I would take a little more time in the needing process to see if that works. Where can I purchase these shortbread molds? I recently had a devastating fire and lost all of my shortbread molds. I traditionally make shortbread for Christmas, but unfortunately will not be able to this year. I am very heartbroken. There is a tab on this site that says”Find a Store”. Click on that. There you will find a list of retailers who carry my products, arranged by states. There is also a category that lists stores that sell over the internet and many of the “brick and mortar”stores mail order as well.. I have 4 of your pans and a cookie mold, and my 7 year old grandson just loves to make the cookies. I am a hospice nurse, and these cookies make easy and lovely gifts to take to my families at Christmas. It brightens their holiday and elicits many stories of the old timey Christmases they had in their youth. Thank you so much for making these! Tracy, this means more to me than you could know. My mother went into Hospice care about a month ago. I have all the respect in the world for the work you do. You make such a huge difference for so many people, and I am grateful that I have an opportunity to play a very small part in that work… and to thank you. Thank you for posting this recipe. I’ve had a shortbread pan for years, but managed to lose the recipe. I was getting frustrated with an on-line search because none of the recipes I found were like what I remembered. Then I found yours. Not sure if this is the same one, but it is so close it doesn’t matter. It might even be better! Yesterday I found a 1988 shortbread mold for $5 at my local thrift store…. what a bargain. I went straight home and baked shortbread, and then served it as part of dessert when friends came to dinner last night. Yum! Great bargain! I love thrift stores. I love your shortbread molds, I made my first shortbread in one of your molds this weekend and it was wonderful. I have a friend who came from Scotland and makes shortbread all the time, I do not have the heart to ask her for her family recipe so I went on line and used Martha Stewarts recipe, it is not as good as my friends but very close. I have 3 more of your beautiful molds coming to me shortly. Everyone I share a piece of shortbread with loves it. Thank you for a beautiful work of art. Like Polly I was lucky enough to find my first molds at a hole in the wall resale store. How lucky I was! In the kitchen section I rummaged through a drawer of cookie cutters and found the Raggedy Ann and Andy molds, I must admit I’m a huge Ann and Andy nut. So I snagged them both for $5. Went home and about a week later made my first shortbread cookies as a birthday present for my Mom, who happens to be a bigger Ann and Andy nut than me. What a big hit! So I went back to my little local store and managed to find several more which I snagged at once. Since then I give the molds and pans to friends and family who love to bake as presents. Always get smiles and many thanks! This is such an awesome product, and its heirloom quality. Thanks so much! Last year I met a scottish gentleman and trying to impress, I bought one of your shortbread molds (thistle) and using your recipe, made it. It was a smashing success. His family deemed an asset to the baking dfepartment. This year I went to make it again and discovered I had lost the recipe. Thanks to your website, I have regained it and am back in everyone’s good graces. Thank you so very very much. I was interested in your shortbread recipe as it is so different from mine. My great-grandmama was from Scotland and her recipe contains an entire cup of cornstarch. Have you ever run into a recipe like that? I thought mine was normal until I read yours and then did some research. Pretty strange! I will say my recipe is heavenly but can’t wait to try yours. I have several of you molds and they are wonderful! I have run into shortbread recipes that use a small amount of corn starch, but never one that used that high a percentage. It seems to me that lacking any gluten, the corn starch would be unable to capture any of the moisture/steam from the butter, and so would be more dense. Try my recipes and see how it compares with your. I will be interested in hearing your report. I love passing on comments/ideas/recipes from fellow shortbread enthusiasts, and I’m always looking to learn better ways of doing things. Powdered sugar is sugar and cornstarch combined, so if Kate’s great grandmama’s recipe made a significantly larger amount of dough, the cup of cornstarch might not be too different from the recipe here. Hello….I am originally from Canada and my family shortbread recipe includes flour and also includes corn starch…it is my secret ingredient. It seems to make the shortbread slightly lighter and more flaky. So I’m leaving mine in the middle. I just checked my websites. The Helpful Hints on the Shortbread site does say to bake the shortbread on the bottom rack in the oven, as it should. When I checked the Hints and general instructions for the Cookie Molds, however, the instructions read to bake the cookies on the TOP rack in the oven. This is also right. Though the molded cookies and the shortbread are both formed in a ceramic Brown Bag mold, they are quite different. The cookies are turned out of their mold and baked on a cookie sheet. You want the top browning resulting from the extra heat at the top of your oven to highlight the cookie’s detail. The shortbread, on the other had, has lots more butter in the recipe and would spread out and loose detail, were it baked on a cookie sheet rather than in its pan. To keep the delicate shortbread from sticking to its pan, it is super important to make sure the it is cooked all of the way through. Were you to place the filled shortbread pan in the top of the oven, the top surface of the shortbread could brown before the bottom surface is fully cooked. Since we check to see if the top of something is browned to determine if it is ready to take out of the oven, this kind of premature browning could give a “false positive” read. If shortbread isn’t fully cooked, it usually breaks apart when you try to un-mold it. If baking your shortbread in the middle of the oven is working for you, keep doing that. Just be careful to look very hard at your shortbread to make sure it is cooked in the middle, and you’ll be fine. I also find your instructions contradictory. On your “Helpful Hints for Perfect Shortbread,” which also has illustrations pertaining to the shortbread mold, you say “Bake your shortbread in the top third of your oven.” I am confused. I have been trying to change the instructions to all read “Bake in the bottom third of your oven”. I have no idea why it keeps popping up with the top third. Sorry. I’ll try again. Just found your site. I’m wondering if the recipe for the rose shortbread is somewhere where we can copy and print the recipe. I know it’s in the magazine article but you have to write it by hand and I’d love to save the recipe to try at a later dater. Thanks so much….love shortbread. Yes. Just click on the “print” button on your computer, and you can print the whole article. The Rose Shortbread is delicious. I recently bought a celtic cookie stamp at a Scottish Festival I was attending. It had the recipe tag on it but inside it said to consult the “Stamping Instructions” to tell me the temperature and how long to bake them. Unfortuanately there were no Stamping instructions with the item. WOuld you please send me the instructions. I bought one of the Celtic stamps. To sum up, you bake the stamped cookies on the top shelf of a 350 degree oven for ABOUT 12 minutes, or until the edges and the detail on the cookies start to brown. I quite by accident started collecting your beautiful molds after picking up your bunny mold years ago. I never even liked shortbread! But I do love making it in your molds. Shortbread happens to be my sister’s favorite, and whenever she stumbles across a brown bag mold, she buys it for me, in hopes of getting more shortbread. The best part is I found I couldn’t just pack the molds up and put them away when I was done. So I outfitted my kitchen with dozens of hooks in the wall, so I can hang them up, and enjoy their beauty all the time. My daughter bought me your thistle shortbread pan for christmas. I used it to make a regular shortbread and a chocolate shortbread and both were a smashing success. However, the following batches have all stuck and not come out of the pan. I’ve followed all the instructions but to no avail. Any suggestions? Also, I need the chocolate reciepe again as I’ve misplaced mine and my husband is out of his mind about that one. For the classic shortbread, should salted or unsalted butter be used? I usually use unsalted butter, but either works fine. Just a matter of taste. Years ago my Mothers friend made me a shortbread cookie and I’m assuming that she used one of your molds because of the shape of it. It was the one with the pie shaped wedges. She had the bottom of it dusted with x-fine sugar. Have you ever done this? I’m not sure that she used your recipe so I am a little worried about doing that with one of my cookies. What do you think? Also does it make a difference if you use a mixer to make the dough? Thank you very much for your time. I’m curious about the superfine sugar. Do you think she just put each cookie into a bowl to press sugar onto bottom or do you think she sprinkled sugar on top before baking (that would then become the bottom. Sounds interesting. I’m not sure. I have never tried this, but it sounds to me like she sprinkled the surface of the pan lightly with super fine sugar before patting in the dough. Why don’t you give it a shot, then write back so I can post the answer. I recently bought a pan with the tea time designs. My first batch came out of the pan ok but some of the details stayed in the pan. Can you suggest what I might try next, I really wanted the pretty design on my cookies! Sounds to me like you need to bake the shortbread a little longer. Be sure the top is toasty colored before removing the shortbread fro the oven. Then let it cool in the pan for 10 minutes before turning the pan over and dropping it from a height of 2″ onto a wooden or plastic cutting board to unmold the cookies. Hi, oh my gosh! I just discovered your company when I was at the local thrift store and spotted one of your snowflake pans. I’ve always wanted a shortbread pan, but could never justify the cost, but having just tried out this recipe for the first time in the dish, I totally feel I should not have denied myself this delight for so very long. So very easy, delicious and beautiful! Next batch, I would like to look into a sparkly snowflake option with glistening sanding sugar, I’m guessing used along with Royal Icing. Thank you so much for making such a beautiful product and having the recipes posted here. Terrific! Shortbread Angels sound wonderful. There is a problem with it, though, since if you bake in the cookie molds, you will most likely loose too much detail to look nice. The detail in the cookie molds is much finer, less broad than it is in the shortbread pans. You can try it and see if you are satisfied. The worst thing that can happen is that you will have to eat up all of your shortbread yourself… not a tragedy. OR you could go to http://www.brownbagcookiemolds.com and try the recipe I posted in February for almond shortbread to be stamped or made in cookie molds. I live in South Africa and bought shortbread pans through Amazon.com. (One is a Brown Bag shortbread pan and the other is from Nordic Ware) I’m battling to get the desired look! It is as if there is too much butter in the dough and the detail of the beautiful designs are not that visible. What am I doing wrong? Is my oven perhaps too hot? There are a couple of things that come to mind. First, your butter might have a higher fat content than ours her in the U.S. That shouldn’t be too big of a deal, however. My best guess is that the flour you are using might be significantly different than what we in the U.S. consider to be “Äll Purpose”. All Purpose flour usually is milled from hard winter wheat which is relatively high in gluten. 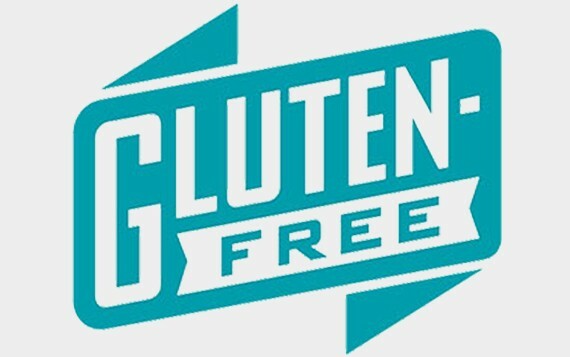 Pastry flour and many other flours have less gluten, tending to make the baked products flakier and more fragile. The resulting cookies don’t hold together well enough for the shortbread detail to come out very well. You can try mixing your flour with some bread flour, trying half and half. You could try just upping the amount of flour you use in each batch of shortbread. I’m afraid you are going to have to tinker around a bit to find what works best. The good news is that the trial shortbreads that don’t measure up visually will still be delicious. Best of luck. I wish I could be of more help. Is there any reason this recipe could not be doubled? I have two shortbread pans and would like to bake them both at the same time. Absolutely! I usually make up 2 or 3 batches at once, and have been known to make up 4. Makes life a lot easier. I don’t know how many years I have been making these shortbread cookies but it has become a tradition in our family that I make a minimum of 4 recipes even though I only have 3 pans, for now. Today I was preparing to make the cookies for my family and could not find my recipe book that I have carefully protected for years. I was getting panicky then I realized that when I started baking these cookies home computers were non-existent but surely I could find it online. Tomorrow I will get the cookies made on my son will have his wish, a box of shortbreads, for Christmas. Thank you for the lovely pans and the marvelous recipes. It’s me again, Lucy, I just went back to eat another piece and carefully inspected the shortbread. It is a half inch thick at the outside edge and nearly 3/4″ thick at the center. It cooked for forty minutes before it turned toasty color, but examining the sliced edge just now shows that starting at about one inch from the outside edge of the circle there is what seems to be a moister slightly darker (though not doughy!) layer feathered from that one-inch in to maybe 3/16″ at the center point of the mold. I’m wondering if that indicates ‘underdone’ (despite the longer cooker time than called for) which might explain the crumbly nature. What do you think? As long as the cookie is not doughy as you said it is fine. Some people like their cookies crisp and some like it on the moist side. You can asjust your time to your liking. As long as the cookie is no longer “doughy” it is fine. I have a question..I have a really favorite Earl Grey shortbread recipe; wondered if I could add the ground tea leaves to this recipe..Or, use my Earl Grey recipe in your dear shortbread pan..Thank you for any help.. I have not personal used tea in any of my recipes for Shortbread using our pans. This sounds like a very interesting and yummy recipe! I feel there should be no problem using the tea in your recipe using our pans. The only draw-back I can think of is that the tea may stain the pan. However, our shortbread pans are dishwasher safe, so you may want to run it through the dishwasher if tea stains are occurring. 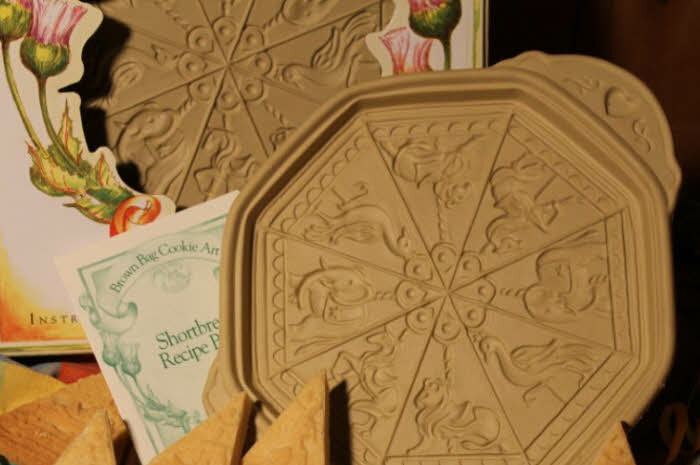 The cookies I make from these beautiful molds are always a hit, but I am frustrated that the designs never come out as clear as in the photos. The tops of the cookies are more bubbly looking and the designs indistinct. II try to use just the bare minimum spray oil. Should I add a bit more flour to the mix? This year I used Irish butter (higher fat content). Should I not spray the pan at all? Any other ideas? I’d love for the beautiful designs to be clear, since that is part of the charm. Thanks fo any advice. I was careful to chill the dough this last time, but it still didn’t help. Thanks for creating these beautiful molds! LOVE my new shortbread mold! I also have 3 xmas cookie molds from the 90’s (santa, bear, rocking horse)… would it be possible to use these for special shortbread cookies, baked in the molds?